Homer's mythological tales of war and homecoming,the Iliad and the Odyssey, are widely considered to be two of the most influential works in the history of western literature. Yet their author, 'the greatest poet that ever lived' is something of a mystery. By the 6th century BCE, Homer had already become a mythical figure, and today debate continues as to whether he ever existed. 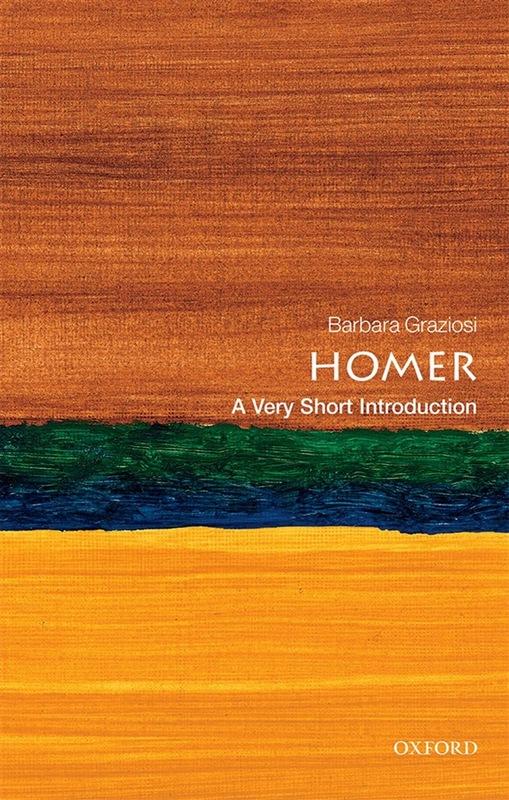 In this Very Short Introduction Barbara Graziosi considers Homer's famous works, and their impact on readers throughout the centuries. She shows how the Iliad and the Odyssey benefit from a tradition of reading that spans well over two millennia, stemming from ancient scholars at the library of Alexandria, in the third and second centuries BCE, who wrote some of the first commentaries on the Homeric epics. Summaries of these scholars' notes made their way into the margins of Byzantine manuscripts; from Byzantium the annotated manuscripts travelled to Italy; and the ancient notes finally appeared in the first printed editions of Homer, eventually influencing our interpretation of Homer's work today. Along the way, Homer's works have inspired artists, writers, philosophers, musicians, playwrights, and film-makers. Exploring the main literary, historical, cultural, and archaeological issues at the heart of Homer's narratives, Graziosi analyses the enduring appeal of Homer and his iconic works. ABOUT THE SERIES: The Very Short Introductions series from Oxford University Press contains hundreds of titles in almost every subject area. These pocket-sized books are the perfect way to get ahead in a new subject quickly. Our expert authors combine facts, analysis, perspective, new ideas, and enthusiasm to make interesting and challenging topics highly readable. This book was previously published in hardback as Homer. 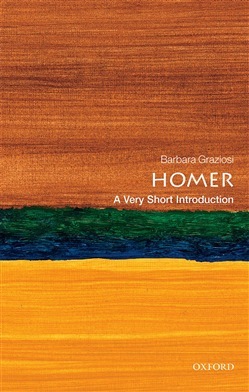 Acquista Homer: A Very Short Introduction in Epub: dopo aver letto l’ebook Homer: A Very Short Introduction di Barbara Graziosi ti invitiamo a lasciarci una Recensione qui sotto: sarà utile agli utenti che non abbiano ancora letto questo libro e che vogliano avere delle opinioni altrui. L’opinione su di un libro è molto soggettiva e per questo leggere eventuali recensioni negative non ci dovrà frenare dall’acquisto, anzi dovrà spingerci ad acquistare il libro in fretta per poter dire la nostra ed eventualmente smentire quanto commentato da altri, contribuendo ad arricchire più possibile i commenti e dare sempre più spunti di confronto al pubblico online.